DairyNZ’s Farm Gauge consistently identifies three areas of opportunity for dairy farmers: finance, environment and people management. We talk to three farmers about how each is focusing on one of these areas. Northland dairy farmer Will Tye and his wife Marianne have owned and run a 250-hectare (ha) dairy farm at Awanui, near Kaitaia, since 2015. Will’s been managing their farm finances since around 2013, checking in with his accountant at the end of each season. Front-footing their finances means Will Tye and his wife Marianne can be proactive around unexpected change. Cashflow figures help the Tyes to predict what their financial situation’s going to be and to manage their overdraft more effectively. It also means the couple can be proactive around unexpected change. Will and Marianne attended a DairyNZ ‘Mark and Measure’ event several years ago and are aiming to go to another one later this year. More recently, Will’s become involved in DairyNZ’s Northland-based Extension 350 project. “We’ve been in the ‘Far North cluster’ since June 2018. It’s really focused us and we’ve got a lot of benefit out of it, including advice from our mentor farmer, Dave Gray.” Will also talks to other successful farmers locally and beyond. Will and Marianne’s long-term goals are to buy another farm and have a $3.00 cost structure with a 10 percent return on assets. Otago farmer Phil Wilson and his wife Becky own and operate an 800-cow, 213-ha (effective) dairy farm near Oamaru. Inspired by Phil’s father and Becky’s parents, the couple are committed to continually improving their farm’s productivity and environment, “so we and our team can remain proud of it”. "We are lucky that we took on a farm that was already well-set-up and farmed by previous sharemilkers and Becky's parents." Phil believes being proactive is the only way to go, so farmers can stay ahead of compliance requirements and protect their property’s environment – and it can be a moneysaver. Public perception of dairying and its reputation is also important, he says. 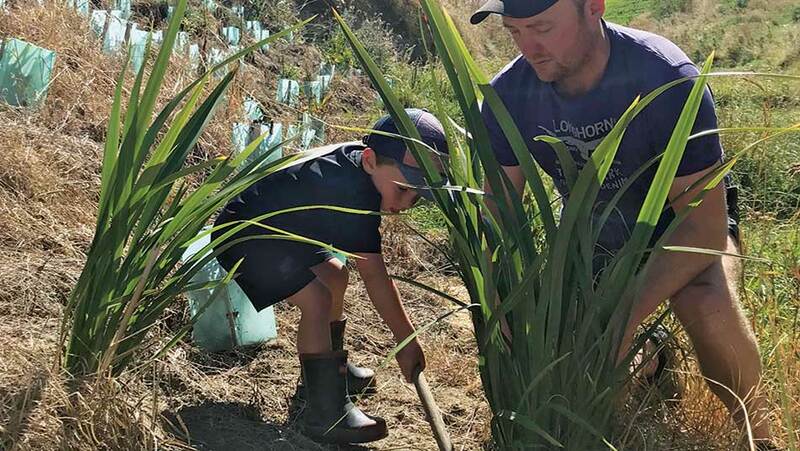 Phil Wilson carries out flax planting around a gully pond on his farm, helped by his elder son Murdoch (4). 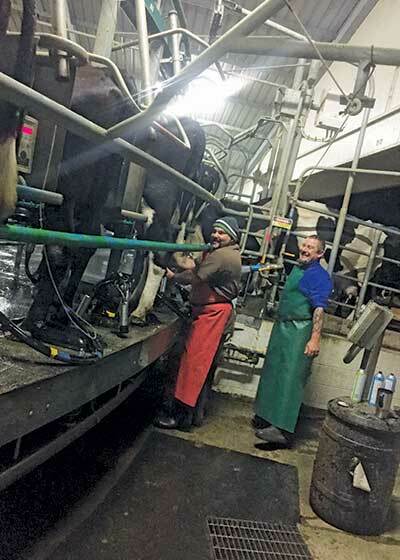 Phil uses his own spreadsheets and maintenance schedules to monitor things and keep his efforts on track, plus he welcomes Fonterra’s regular audits. Other tools he uses are Google Docs and weather and soil moisture apps. Phil also keeps an eye on irrigator performance using Irrigation NZ's bucket test (details at dairynz.co.nz/bucket-test). Phil values advice from consultants, DairyNZ staff, council staff, other farmers and community groups and he attended DairyNZ’s Dairy Environment Leaders’ Forum last year – “that prompted lots of ideas”. He’s also a member of a vet trial group of farmers and a local catchment group that manages the health of nearby Awamoko creek. Recently Phil, Anna Dyer from Fonterra and DairyNZ's Justin Kitto also met to discuss ways to improve drainage around Karaka creek, which is a tributary of the Awamoko. investing in effluent management (irrigators’ global positioning systems (GPS); diluting effluent applications). 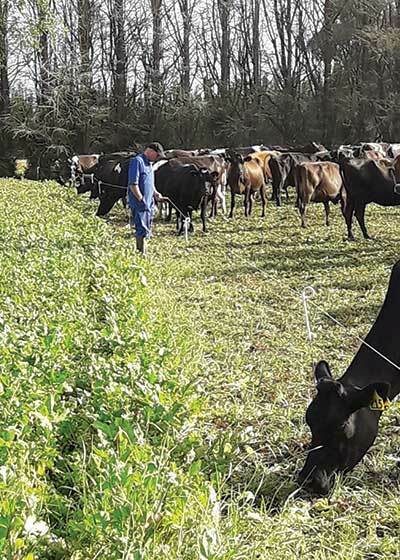 Te Aroha-based farmer Craig Durbin manages four Waikato farms and 13 staff for FarmRight, which oversees the management of farms owned by the New Zealand Super Fund. Craig says that pre-FarmRight, his previous management style in earlier roles on smaller, individually owned farms, left a lot to be desired. He also tried to be ‘everybody’s mate’, instead of focusing on being a leader, he says. At FarmRight, Craig’s goals are to do the right thing as an employer, keep staff health, safety and wellbeing on track, get the right people on board, and support them to grow their skills and dairying careers. “My motto now is ‘communication is the key to all success’. I make sure I’m around for my staff as much as possible and I listen to them and help them sort out what training they need. “My biggest motivation is to see staff safe, happy and progressing in their career – that really drives me,” says Craig, who asks his staff every day “what would stop us going home safe?”. He also focuses on his team’s work/life balance, taking them to twilight golf, the races and fishing whenever the chance arises: and they appreciate it.